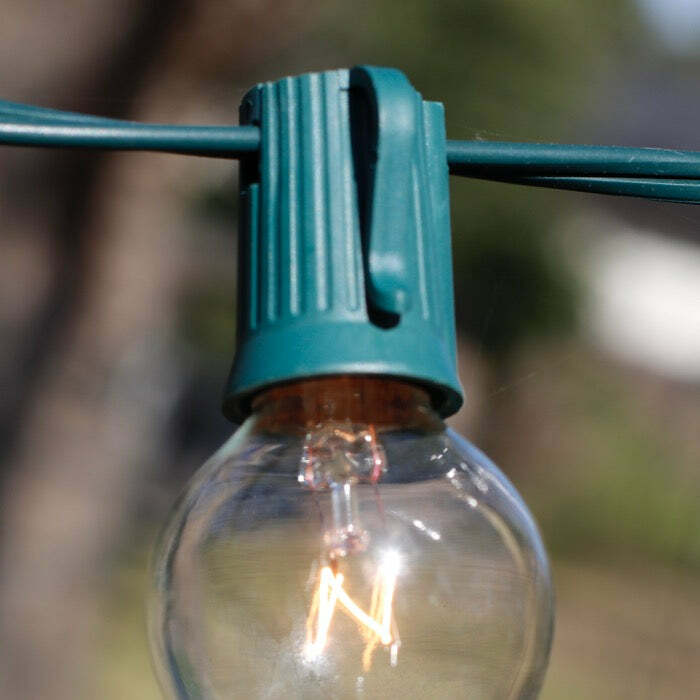 Wondering how to light up your fence line? Need Christmas lights for large Christmas trees? Working on a massive yard display? These green Christmas lights can be purchased in a variety of spacings and sizes. And with bulb color and finishes, the combinations are limitless. This style of lighting is what professionals use in business and residential installation. This cord is constructed using commercial-grade 18 AWG wire with SPT-1 insulation. ï¿½ Rated at 10 amps and wired in parallel, this spool can be cut to fit your project. You'll needï¿½ 666ï¿½ bulbsï¿½ to fill every socket in this cord. Cord must be cut to limitations based on light line burnout and your breaker ratings. ï¿½ We suggest that you purchase 10% overage for glass bulb installation. 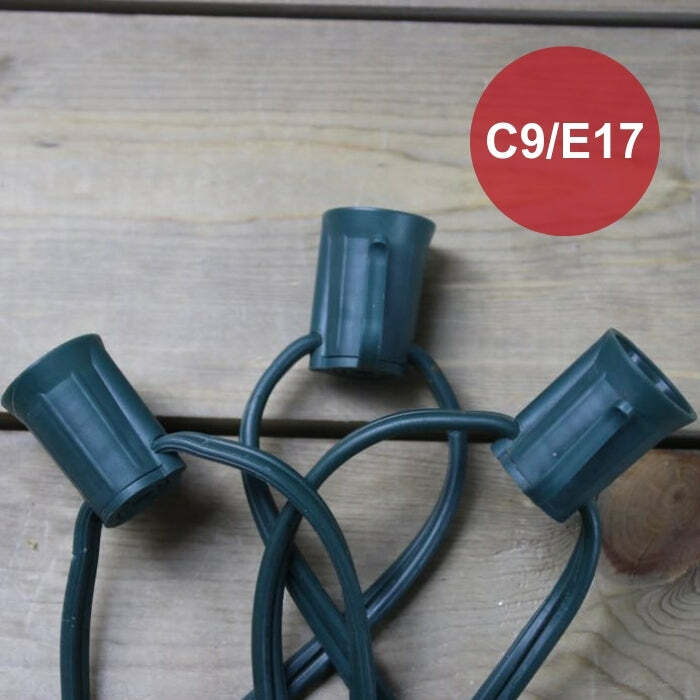 bulbs - use with your existing bulbs or see ourï¿½ C9ï¿½ Bulbs,ï¿½ and round bulbs with E17 bases (intermediate). Do not install more than 250 continuous feet of this Christmas light spool regardless of bulb type. Even if you are using LED bulbs, do not exceed 250 feet in a single string/run of cord. That is the line-limit specification of 18 AWG wire. If you are using incandescent bulbs, your maximum run is determined by the wattage of your bulbs. ï¿½ Do not exceed 1000 watts for a normal household breaker.